Late last year, Professor Mayor of CONCORD's Project Discovery reported a series of unusual energy spikes to CONCORD's Inner Circle.Follow up work mapped these energy spikes to POCKETS of space-time, similar to the spatial anomalies we call 'Deadspace', though these are more isolated and require special technology to access. These hidden pockets have been code named 'Abyssal Deadspace‘. 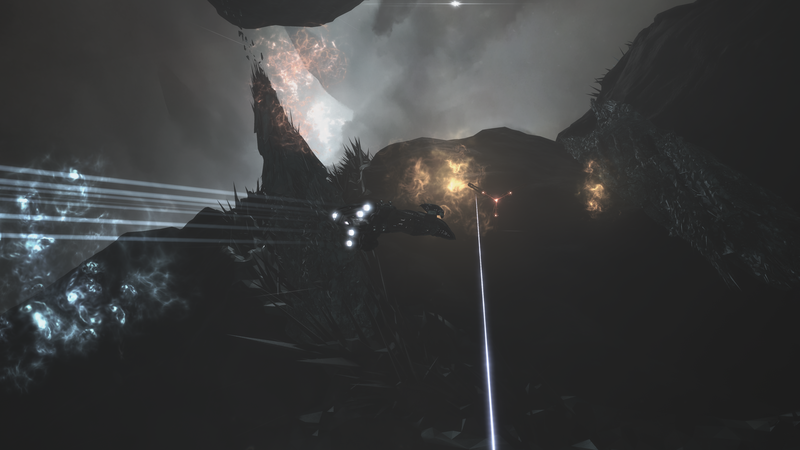 Abyssal Deadspace is our next evolution in PVE in EVE, bring more engaging and fun challenges for you to solve. 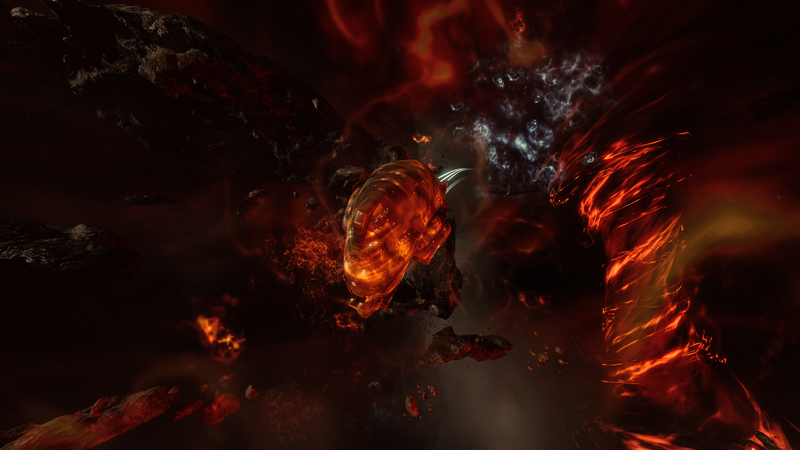 An Abyssal Deadspace sequence is capped at 20 minutes and can be accessed anywhere in space. This will allow capsuleers to jump in for a short session at lunch, bringing more life to the universe. 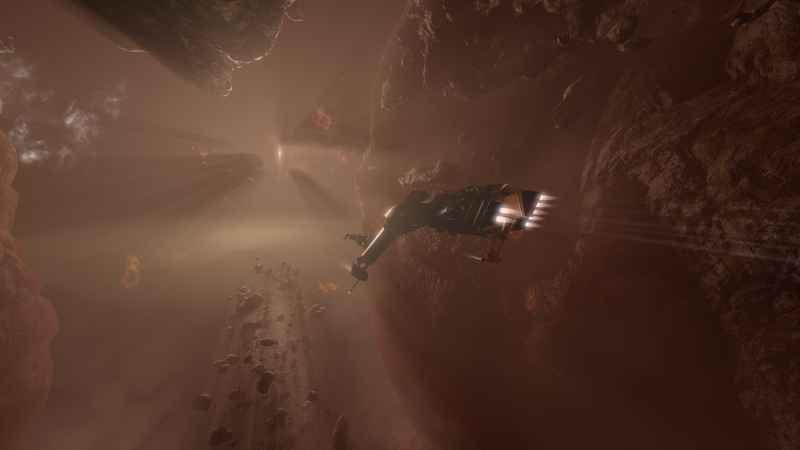 Learning from previous experiences and features, we want to push further on work allowing for more fun and engaging ways to hop in to EVE. You will have 20 minutes to complete the sequence before the crushing depths of the abyss destroy you. An Abyssal sequence is made of 3 pockets linked together with a Triglavian gate network that is triggered once the challenge of those pockets is completed. Once committed, you won't be able to return back to the safety of known space until you've cleared all three pockets. 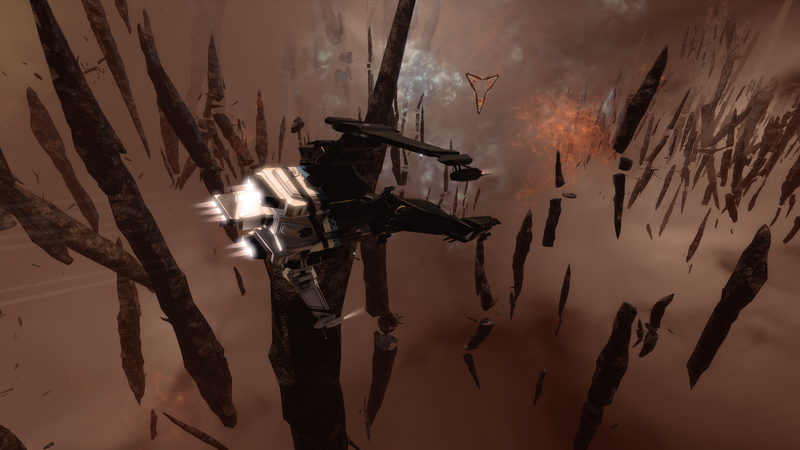 PVE in EVE can feel predictable, this is something we want to challenge and push. When designing encounters for Abyssal Deadspace, one of the key design guidelines was replayability. We achieve this by building a series of components that players can learn and master, and then the challenge comes from when we combine the individual entities to create the encounter. The assembly uses an element of randomness in a very controlled environment - controlled randomness - where parts of the scene are chosen on entry to the Abyssal sequence while other things are built on the fly. This gives us and the engine more power to create more interesting and hopefully more engaging content. 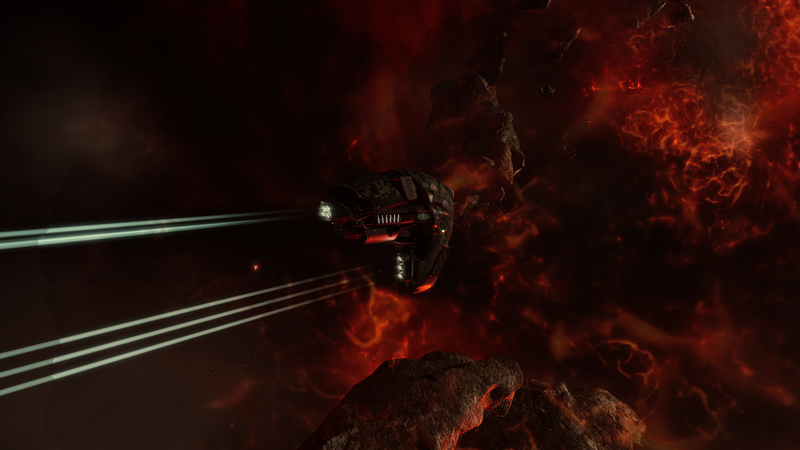 There will be a dedicated blog on the building of Abyssal Deadspace coming your way soon! 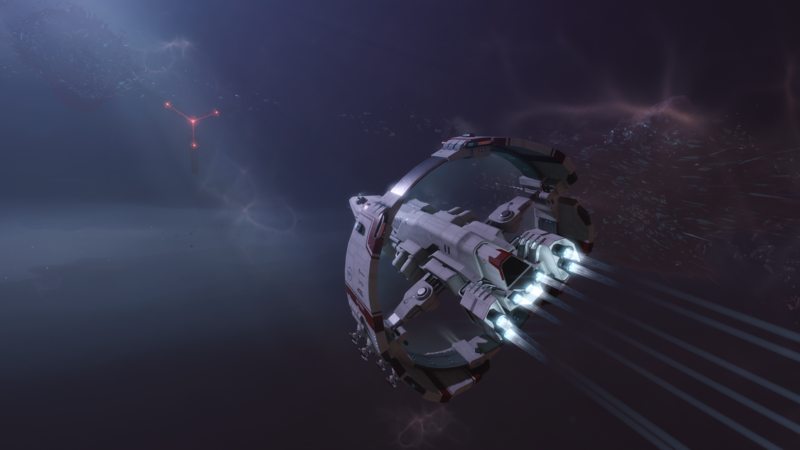 When designing and balancing for EVE, we are constantly thinking of how the change will affect the overall ecosystem of the game, if it’s economics, power or even framerate. At times this can be very challenging and often it pushes us to be more conservative than we could or should. 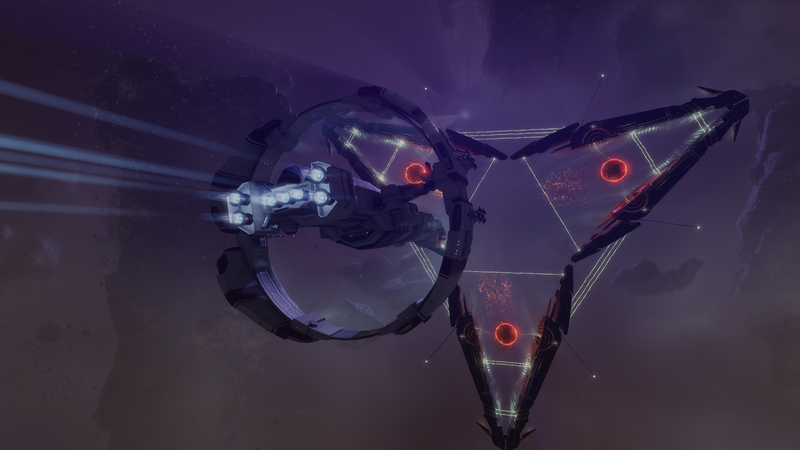 Abyssal Deadspace provides developers with new tools to test out ideas that previously felt too risky or controversial, both when it comes to art and gameplay. To give some examples of things we are pushing on release, one thing that we are trying is to truly bind together Environment Visual and Gameplay Effects. 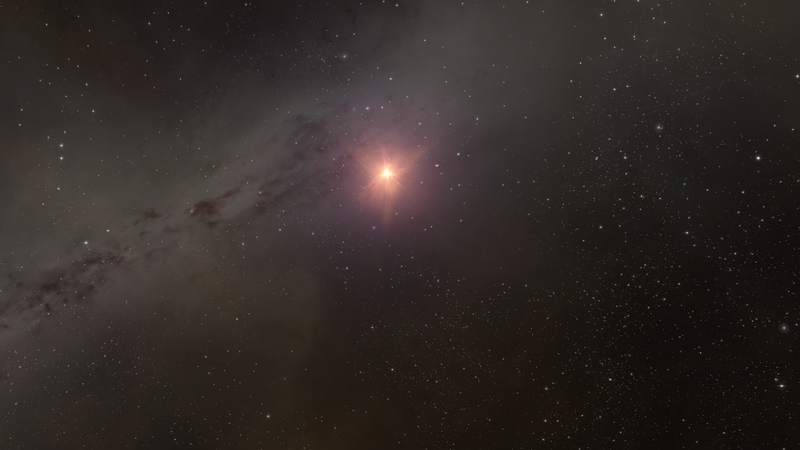 Though we’ve had environmental gameplay effects in EVE before, we’ve never seen them at this level, elevating the idea of the universe itself being an active player in the session. 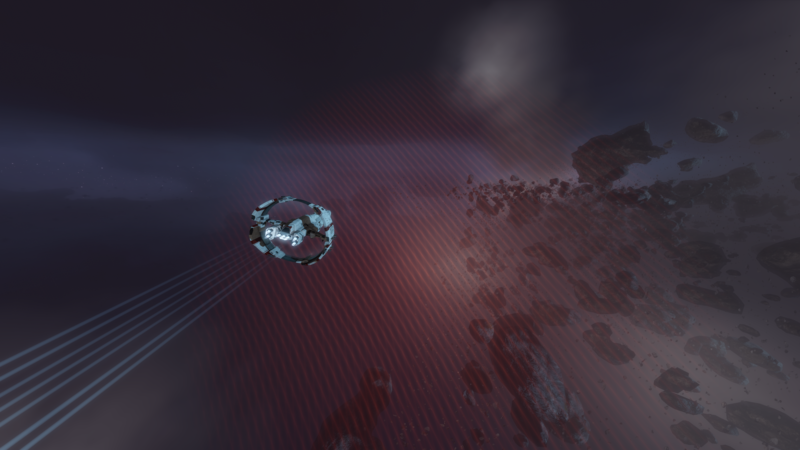 We are also testing the largest assets we have ever made in EVE, asteroids spanning over 1,500 km. Right now, we are placing these outside the playable area, gathering data and evaluating the load. 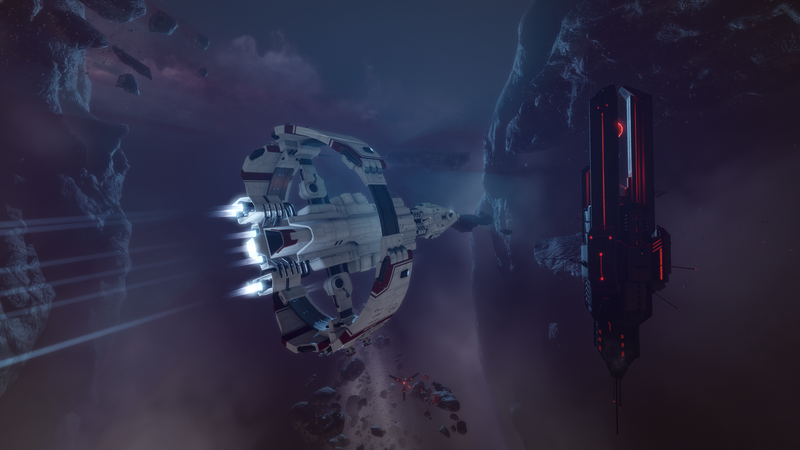 To make the scene feel even more cinematic, we are limiting the camera drone's max distance from the ship, but at the same time we are also exaggerating the field of view, so you get a really good sense of your surroundings. We think this is a good example of a feature that we could not experiment with before Abyssal Deadspace. Not all of these will be migrated into known space, but this gives us more tools to deliver proven, functioning and ultimately more engaging features to New Eden. 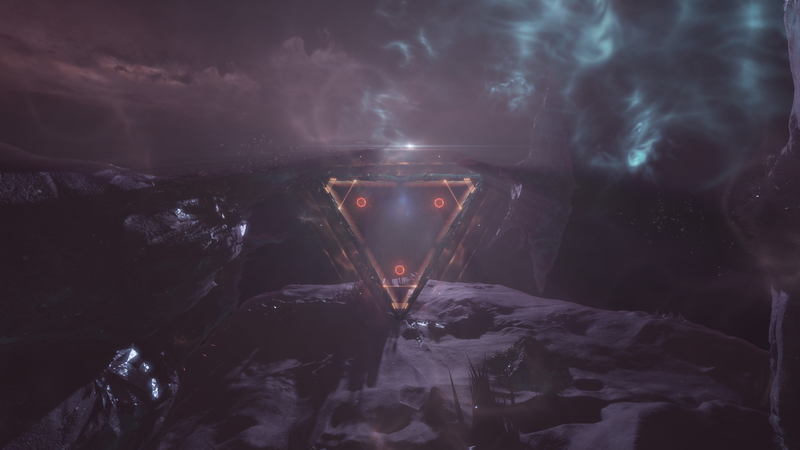 Once inside Abyssal Deadspace you will also notice limitations to other systems such as, you will have no local chat, you wont be able to warp, deploy structures, scan and more. On top of the weather effect, there are smaller areas of localized effects that will make positional gameplay more important than ever. The effect from these will stack on top of the active weather effects in the system, creating interesting twists for you and the NPCs you are engaging with. These can come in the form of clouds or destructible structures. Because of how we assemble the pockets, we can easily add more localized effects to Abyssal Deadspace. 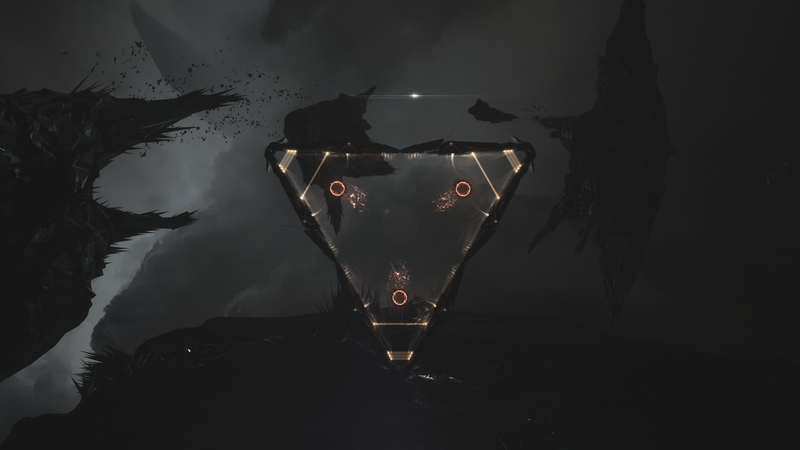 Abyssal Deadspace hosts the newly discovered Triglavian Collective. The Triglavians are mostly unknown at this point but a captured vessel has shown that they are of human origin. Therefore their ships are pilotable by capsuleers with the right training. 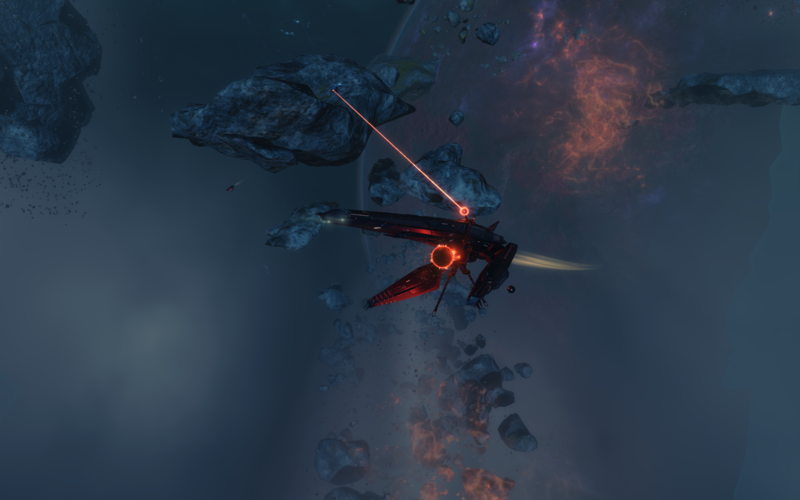 It has been reported that while under stress, a Triglavian cruiser was repaired by a Rogue Drone, this indicates that Triglavians have some control over Rogue Drones. How and why this happened is unknown at this stage. The NPCs you will encounter in Abyssal Deadspace use the new AI tech we've been developing over the past two years. Like with every release, the arsenal of behaviors is growing and while we have new AI for a new race and modules we've also been hard at work learning from previous features and then pushing and testing new and improved behaviors and NPC types. 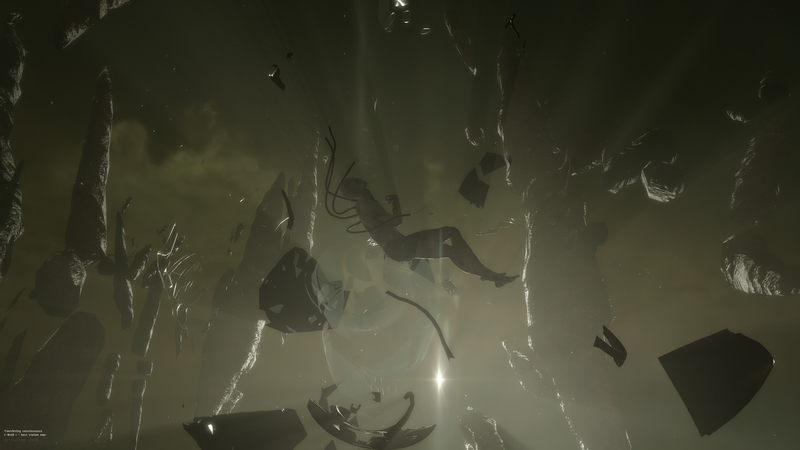 We will continue to tweak, balance and test new interesting encounters in Abyssal Deadspace after release. 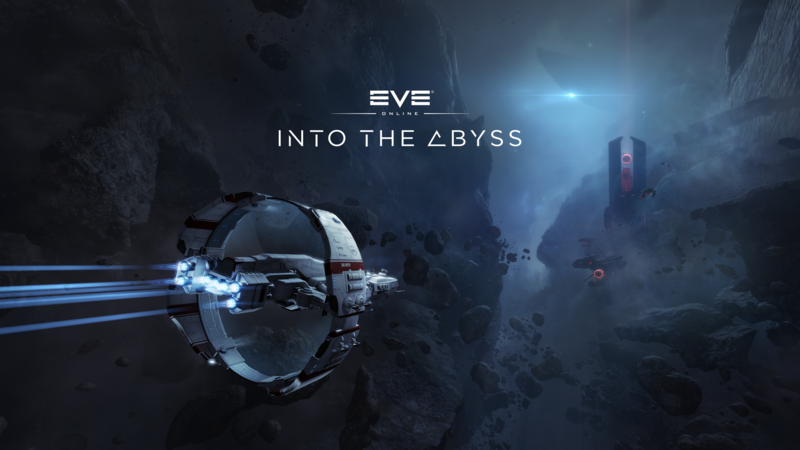 Abyssal Deadspace will ship with Into the Abyss on May 29th, but we are not tying a bow on the project. 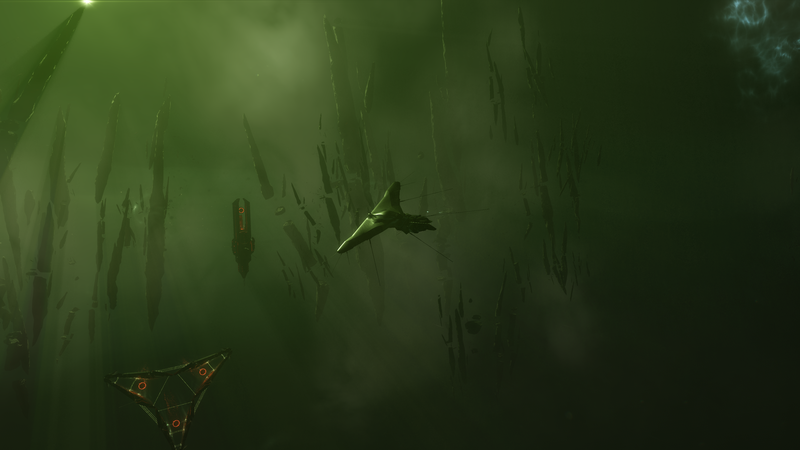 We will continue to push Abyssal Deadspace and test new and interesting gameplay elements going forward. There are a lot of ideas floating around, but we want to ship the feature to make sure the foundation is solid before extending it.